nCamp Backpacking Stove Accessories Lighting/Fire Sticks Small NAC12LSUS. 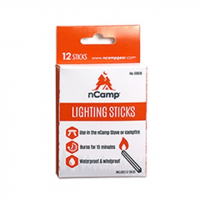 Each box contains 12 Lighting Sticks and work perfectly with the nCamp Wood Burning Stove or to light a campfire. Each lighting stick burns for 15 minutes. 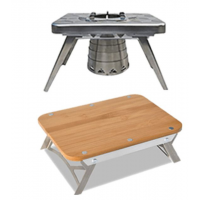 nCamp Backpacking Stove Accessories Prep Surface Silver/Wood Small NPR09CBUS. 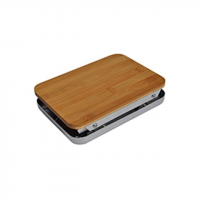 It has a bamboo surface that is naturally anti-microbial. 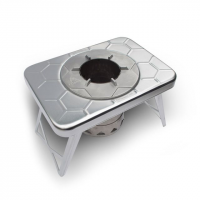 It nests with the nCamp Wood Burning Stove adding only .25in to the overall thickness.